What is Fnac Darty? Why you should join Fnac Darty Marketplace? With over 20 million unique visitors a month on both commercial websites, Fnac Darty Group brings two powerful eCommerce destinations together. Today it is the largest bookstore, music and ticketing retailer in France. 26,000 employees throughout the world. Fnac and Darty are two exceptional retailers with strong complementarities in terms of commercial offers, geographic coverage, expertise and know-how. The merger between Fnac and Darty has given rise to a new leader in retailing. This move offers fresh prospects for employees and provides customers with an enhanced range of products and services. Fnac Darty is a group with global influence, for two banners which maintain their own identities. In response to the changing retail environment in the digital era, Fnac Darty intends to offer its customers the best omnichannel experience in Europe. Over the past two years, Fnac Darty has enriched their Marketplaces with a wide range of products and services to develop a real differentiating asset. The categories available for sellers are different. While Fnac focusses on editorial and electronics, Darty offers small kitchen and home appliances as well as electronics. The key to success of this Group is the will to maintain two different Marketplaces, two different identities with one dedicated team. The customer is at the centre of attention with the technical support that Fnac Darty offers. In the future, the Group intends to continue expanding its service in order to offer new market opportunities to customer as well to new sellers. Entering Fnac Darty Marketplace means increasing sales channels abroad and have a main role in the French eCommerce business: the sixth biggest eCommerce market worldwide. Besides, Fnac Darty is the third most visited eCommerce site in France only after Amazon and Cdiscount. It’s also one of the fastest growing Marketplaces in Europe. One more good reason to start selling on Fnac Darty Marketplace is a dedicated team at your disposal that will answer your questions and support you. A team of experts will help you to identify your growth drivers on Fnac Darty and maximize your sales potential. Start selling on Fnac Darty Marketplace is a smart move that will increase and expand your eCommerce business abroad. You will gain access to millions of potential customers that are already confident with both Fnac and Darty Marketplace. 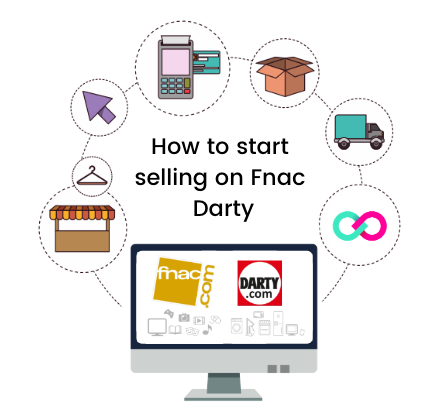 But how to start selling on Fnac Darty Marketplace? Well, good news! Selling your products on Fnac.com and Darty.com is easy, intuitive and secure. How to manage your shipments. 1. Have a ‘professional status’, ie your company must be registered (K-bis) or you have the status of a sole trader. 2. Have the capacity to ship your products to the end customer yourself. Discover how to make shipping easier with ShippyPro. 3. Be able to issue an invoice to the end customer. As every Marketplace, Fnac Darty applies commissions that vary depending on the product category (from 6% to 16%). However, marketing tools (Newsletter, Banners) and sales promotions are included in commissions. The monthly subscription is 39,99€ before tax. Uploading your product catalogue on Fnac. com or Darty.com is easy. 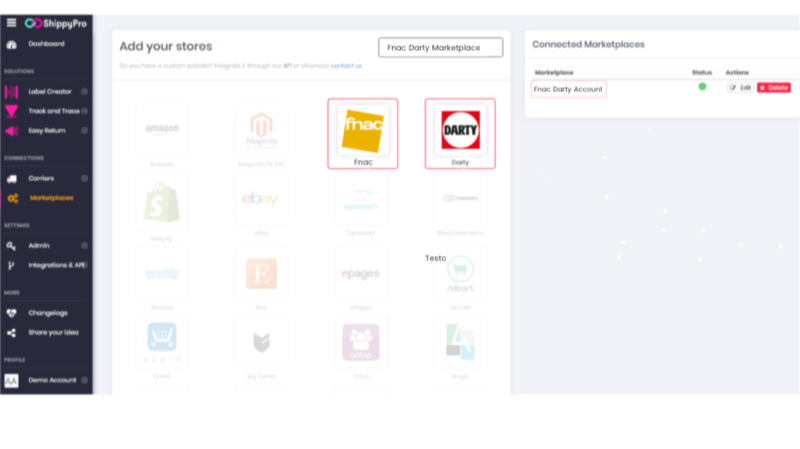 Fnac Darty is integrated with a variety of multichannel marketplace management software companies that will automatically integrate your existing inventory with the marketplace. 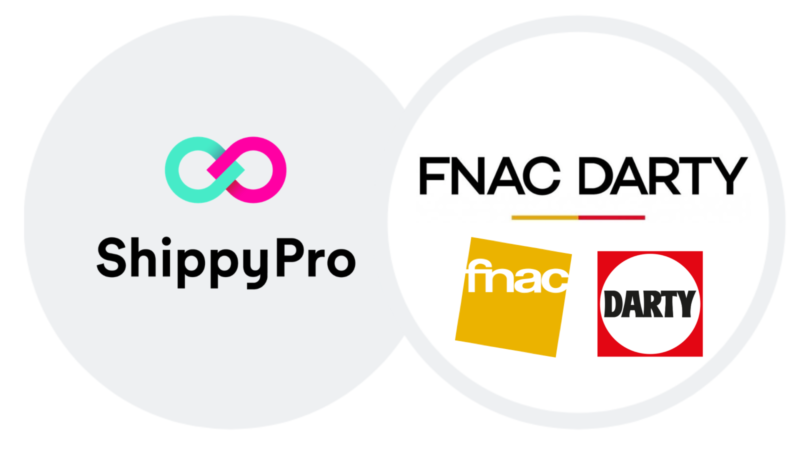 Fnac Darty offers its sellers support to upload promotions that can be added manually or automatically with API, saving time. Here is how you can manage orders on Fnac Darty. After the upload of your offers, the client is allowed to buy your products. Fnac Darty receives the payment and confirms the order to the client. Then, you have to ship the items. As soon as the customer receives the order, you receive your payment. Sellers get paid after the acknowledgement of receipt by the client. However, billing for orders received is carried out every five days. Following this billing, a bank transfer is made in accordance with Fnac and Darty’s twice-weekly accounting cycles. As you know, starting selling on Fnac Darty Marketplace means being able to manage shipments alone. 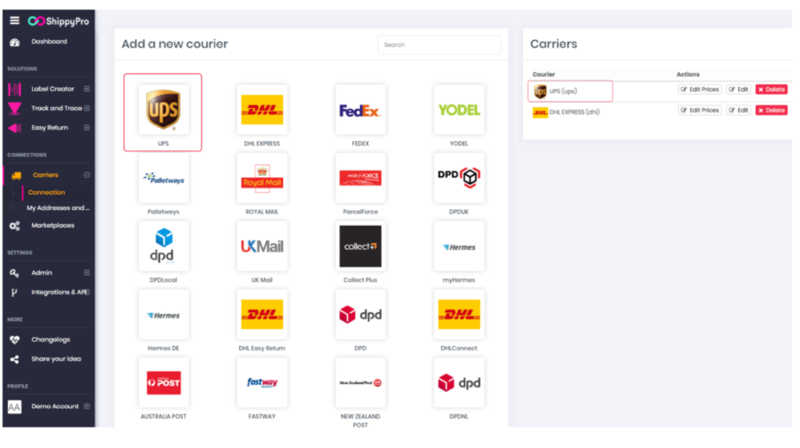 If you’re wondering how to simplify and optimize your order management, find out how to connect directly your shipment methods with Fnac Darty Marketplace. If you haven’t already signed a contract with couriers or you’re simply wondering which one to choose in order to ship your products to clients, take a look at our latest articles in which we compare the best couriers’ services. Otherwise, if you already have a courier service, you are looking for an easy way to connect all your marketplaces and couriers in few steps, without having to hire a software house to do the integration. 1. Import your orders, synchronizing your online store and your website to automatically receive the unshipped orders. 2. Add your courier’s account, simply using your existing couriers’ login credentials. 3. Print your labels, selecting the unshipped orders in one click (even selecting multiple orders). 4. Update your marketplaces and send transactional branded emails. 5. Keep your Stock up to date focusing on your top sales items. In other words, you are looking for a solution that allows you to ship high volumes smarter! Click Here to find how to help your business grow! France is an unmissable eCommerce opportunity: Fnac Marketplace together with Darty is a key player. If you are trying to grow your eCommerce business, don’t miss the opportunity to reach more than 20 million unique visitors!